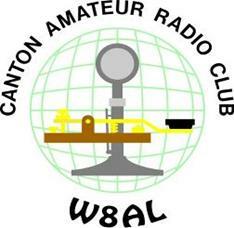 September, 2017 | W8AL - Canton Amateur Radio Club, Inc.
Canton Amateur Radio Club, Inc. The log sheet and QSL status info for QSO’s made during the 2017 Pro Football HOF Enshrinement Festival Special Event can be viewed on Dropbox. If you made a QSO during the event, it should appear on that sheet. If you sent a QSL card, but it does not show as received, please email the QSL Manager Justin, W8JKC.